My outings with my girls look something like this - one of my hands grasps Evie's while the other holds the baby... unless she's in my sling. My purse slides off my shoulder as I remind Indigo to stay close. Is it any wonder that I tend to leave my diaper bag home for these short trips out? Oh, who am I kidding? Even when I only had the two kids, I was never that mom who was prepared for Armageddon with the well stocked diaper bag. Heck, I often forget to bring along a diaper. This generally works out just fine. Except for the time when Evie took her diaper off and somehow pulled it through her pant leg while we were at the children's museum. Or when Iris blew out her diaper in the car. Had I been left to my own devices I would have been out of luck. But my mom, knowing my nature, packed a few emergency diaper kits in my car for me last time she visited. With those emergency kits dwindling, it was high time that I got on the ball with my diaper situation. 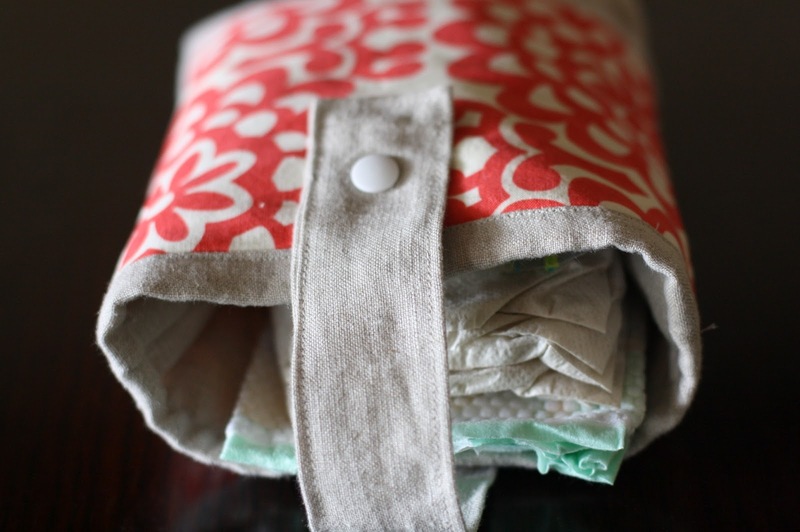 So when I read this post about a diaper pouch, I knew I needed to make one for myself. It's small enough to fit in my purse, yet big enough to hold 3-5 diapers, some wipes, and a small bottle of hand sanitizer if that's your thing. Since it fits in my purse, which I always carry with me, I can see whether or not it needs to be restocked with more diapers or wipes. The (free) tutorial was well written and the pouch came together quickly. I added a snap instead of using Velcro. 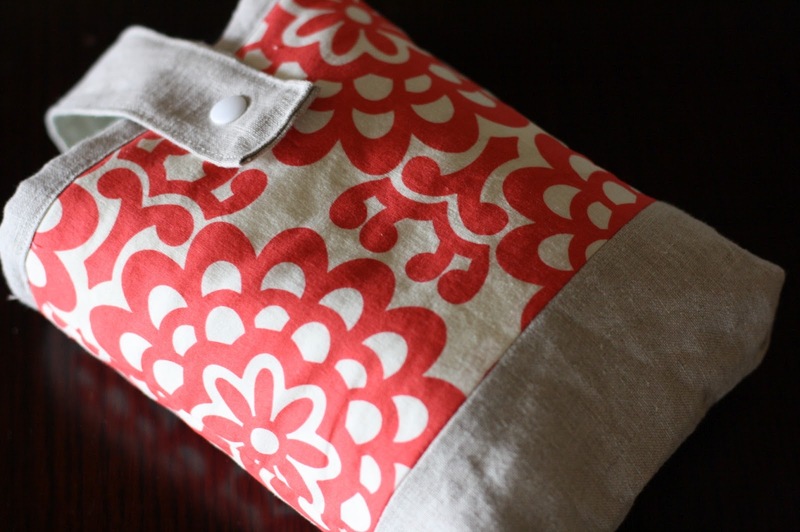 I'd say this pouch is pretty ingenious and can't wait to make more for my friends who are having babies in the fall! This cracked me up--I AM that mom who's ready for Armageddon. ;-) I'm that way about life in general-- can't help myself. Preparation also has its drawbacks. I bump someone with that darn bag every time we go somewhere! Oh, I love it! Excellent idea, and yours is beautiful!